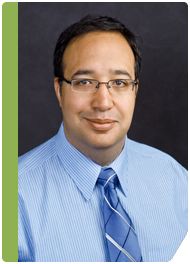 Poplar Healthcare » Gustavo A. Alvarez-Paiva, M.D. Dr. Alvarez-Paiva received his medical degree from the Central University of Venezuela, followed by residency training at Washington University School of Medicine/Barnes-Jewish Hospital in St. Louis, where he also served as chief resident. After one year of surgical pathology fellowship, he trained in gastrointestinal and liver pathology at the combined fellowship program of Weill Cornell Medical College/New York Presbyterian Hospital and Memorial Sloan-Kettering Cancer Center in New York City. Dr. Alvarez-Paiva has published and been a reviewer for peer journals, such as Modern Pathology, American Journal of Surgical Pathology and Archives of Pathology and Laboratory Medicine. Dr Alvarez-Paiva is the co-author of the liver chapter of the Washington Manual of Surgical Pathology and a member of the United States and Canadian Academy of Pathology.